Posted: March 28, 2018 6:00 a.m.
After more than a decade of working with Indigenous groups in defining healthy communities, JoLee Sasakamoose has assumed leadership of the Indigenous Peoples’ Health Research Centre (IPHRC) as the new director, under the guidance of the Johnson Shoyama Graduate School of Public Policy (JSGS). Sasakamoose is an Anishinabe (Ojibwe) from the Three Fires Confederacy in Michigan and Ontario, with membership in M’Chigeeng First Nation and an active citizen of Ahtahkakoop Cree Nation. Sasakamoose’s research explores the intergenerational effects of historical trauma with Indigenous Peoples and the use of traditional healing methods in the promotion of health and wellbeing. In partnership with the First Nations communities of Saskatchewan, she co-authored the Indigenous Cultural Responsiveness Theory, a theoretical framework to improve wellbeing of Indigenous Peoples. In January, Sasakamoose and University of Saskatchewan clinician Dr. Stuart Skinner were awarded a $2-million Canadian Institute of Health Research (CIHR) grant to refine and expand an on-reserve diagnosis and treatment program (Know Your Status) for HIV, hepatitis C virus and sexually transmitted blood-borne infections. She was also a co-recipient of a $772,000 CIHR grant with JSGS’s Tarun Katapally in October 2017, to study how to adopt culturally appropriate ways to integrate physical activity into the daily lives of Indigenous youth to foster better physical, mental and emotional health. Sasakamoose is an associate professor of Educational Psychology and Indigenous Counselling in the University of Regina’s Faculty of Education and a methodologist with the Saskatchewan Centre for Patient Oriented Research. Prior to her appointment, Sasakamoose served as the founding director of the Health Advocacy and Research Training program. She has received funding from the Saskatchewan Health Research Foundation, the Community Initiatives Fund, the Saskatchewan Instructional Development and Research Unit, the Public Health Agency of Canada, the Canadian Heritage Foundation, and from CIHR. 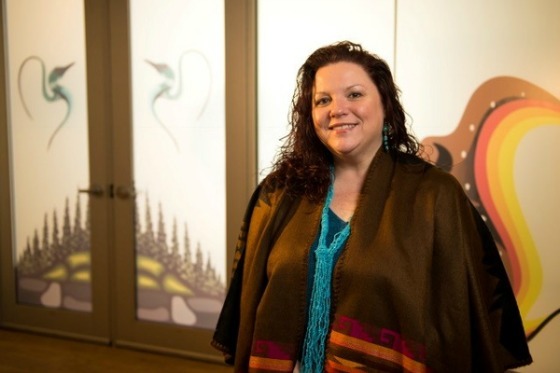 Sasakamoose earned a Bachelor of Arts in Social Science from Michigan State University (MSU), a Master of Science in Human Development, Counselling and Family Studies from the University of Rhode Island, and a PhD in Higher Adult and Lifelong Education from MSU. She joined the U of R in 2011.